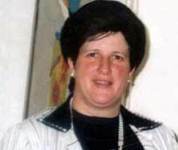 ​Australian authorities are currently seeking the extradition from Israel of Malka Leifer wanted in connection with 74 cases of child sexual abuse…one of the alleged victims tells her story. Leifer has not faced an extradition hearing since proceedings started almost a year ago as her lawyers claim she suffers psychotic experiences when confronted with a court appearance. She fled from Melbourne to Israel in 2008 when it became apparent that she would have to face allegations of child sexual abuse from pupils at the Adass Israel school aw which she was the principal. The victim approached Manny Waks, founder of child sexual abuse advocacy group Tzedek, who now lives in Israel. One of Malka Leifer’s courageous alleged victims has asked me to publish the following….